For more than 80 years, California law defined “lynching” as the crime of removing someone from the lawful custody of a peace officer by means of a riot, according to California Penal Code 405a. However, lynching is more commonly used to describe an act of murder of a person by an angry group of people, usually by hanging by the neck with a noose, often fueled by hate for the victim because of his or her race. Historically, lynching occurred most often against African Americans following the civil war between the 1890s and 1920s. It is important to understand the specific terminology in the law if you are facing a charge under PC 405a. Threaten to use force or violence with immediate power to execute the threat. Thus, to take someone from lawful custody by means of a riot means to engage in the use of force or violence, disturbing the public peace, or threatening to use force or violence with the immediate power to do so in order to free someone from the custody of a law enforcement agent. Resisting an executive officer (Penal Code Section 69). An example of this crime is the case of Maile Hampton, the African American activist whose arrest set in motion the vote to remove the term “lynching” from California Penal Code 405a. Hampton was accused of trying to pull on the handle of a sign held by a protestor who was in the custody of Sacramento police officers. The incident occurred during a “Black Lives Matter” rally against police brutality in January 2015. She originally faced a charge of “lynching,” but ultimately faced a reduced charge of misdemeanor resisting arrest. When you acted, you knew, or reasonably should have known, that you were acting against a peace officer performing or attempting to perform his or her duties. Under California Penal Code 405a, taking a person from the lawful custody of a peace officer by means of a riot is a felony punishable by two, three, or four years in county jail. Lack of knowledge. A vital part of the statute is that the person you acted against is someone that you knew or reasonable should have known was a peace officer. Our attorneys are well versed on all of the possible defenses to protect you from a lynching charge in California. Suppose you and a friend were walking down the street, and you see another friend struggling with a stranger. The stranger is not wearing a police uniform, and there is no police car in sight. Assuming that your friend is being attacked by a criminal, you and your other friend decide to assist by pulling the friend away from the stranger, who it turns out was an undercover police officer trying to lawfully arrest your friend, but he never identified himself as such. Under these facts, the prosecution could not prove that you knew or should have known you were taking someone from the lawful custody of a peace officer, and therefore, you should not be convicted of this crime. The peace officer’s arrest was unlawful. In order to be convicted, you must have removed a person from the lawful custody of a peace officer. However, if the officer is attempting to perform or is performing his or her duties in an unlawful manner, then you should not be convicted under California Penal Code 405a. For example, a lawful arrest can become unlawful when the peace officer performs the duty through the use of excessive force during the course of an arrest. A person has the right of self-defense with reasonable force if the peace officer uses excessive force that places that person in jeopardy of great bodily harm or death. One way to show use of excessive force or unlawful arrest is to file a Pitchess motion, which allows a defendant who shows good cause to subpoena the officer’s performance records to determine whether the officer has ever been investigated for misconduct. If the officer in question has a history of complaints against him or her, that information can be used to discredit the allegation that the defendant resisted the officer while he or she was engaged in lawful performance of duties. 1. Can I be charged with lynching or taking a person from the lawful custody of a peace officer if I was the one who was in custody? Possibly, and in fact this is a common scenario under which this crime is charged. In a 1999 case, a juvenile defendant was charged with this crime after he pleaded with a group of bystanders to help him free himself from the police who had handcuffed him for a warrant on an auto theft charge. The crowd surrounded the police, and in the struggle, the defendant broke free. When he was later arrested, he was charged with using the riot to free himself from custody. The California Court of Appeal upheld his conviction on this charge. However, the court’s reasoning applied to a companion law (Penal Code 405b) that has since been repealed, and therefore could call into question whether this ruling is still effective against a person who “takes” himself or herself from custody. 2. Could I be charged with this crime if I “rioted” by myself? No. By definition, a riot is “two or more people” acting in concert to use force or violence, disturb the peace, or threaten to use force or violence with the immediate power to do so. However, you could still face a number of other related crimes if you acted alone to try to free someone from the lawful custody of a peace officer. 3. What if the “riot” did not involve violence, but was instead a group of people peacefully protesting? A peaceful protest could be the setting for a possible charge for using a “riot” to free someone from custody. Though the setting in which the person is arrested may have been peaceful, the “riot” can occur when two or more people use any level of force to attempt to free the arrested person. It is the circumstances that immediately surround the freeing of the person that the prosecution will use against a person facing this charge. Your future is too important to risk. Call the criminal defense attorneys at Wallin & Klarich today so we can begin to fight on your behalf. If you are being charged with freeing or attempting to free someone from custody by means of a riot, formerly known as “lynching”, you will need an aggressive and experienced attorney to defend you. Contact the experienced criminal defense attorneys at Wallin & Klarich today. 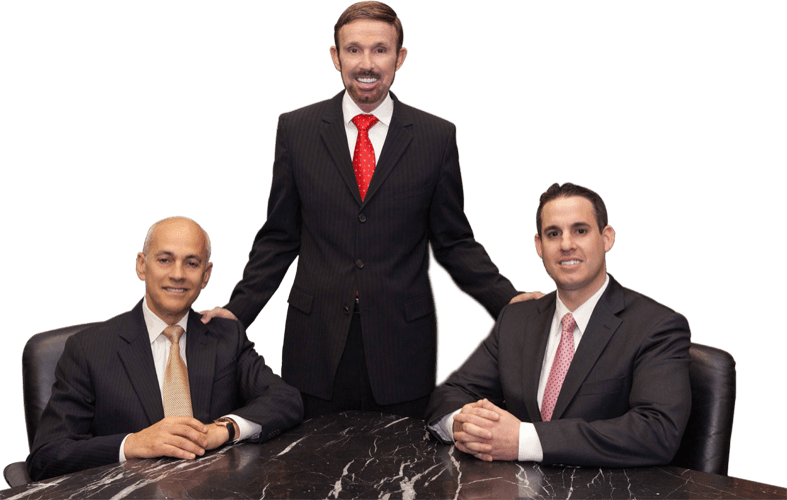 Our attorneys have 30 years of experience successfully defending those facing criminal charges. We can help you, too.